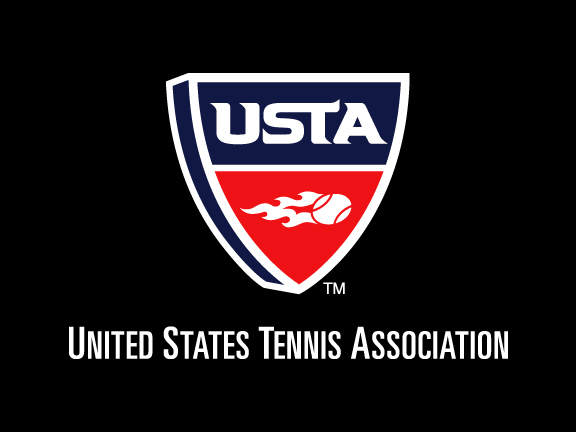 The USTA and United States Fed Cup Captain Kathy Rinaldi today announced that 2017 US Open champion and world No. 9 Sloane Stephens, 2017 US Open finalist and No. 13 Madison Keys, 2017 US Open and Australian Open semifinalist and No. 16 CoCo Vandeweghe, and former world No. 1 doubles player Bethanie Mattek-Sands will represent the U.S. in the 2018 Fed Cup by BNP Paribas World Group Semifinal against France. Sloane Stephens, Madison Keys, CoCo Vandeweghe, Bethanie Mattek-Sands will represent the U.S. in the 2018 Fed Cup by BNP Paribas World Group Semifinal against France. The best-of-five match series will be played at the Aréna du Pays d’Aix in Aix-en-Provence, France, April 21-22, on an indoor clay court. French Fed Cup Captain Yannick Noah named No. 19 Kristina Mladenovic, No. 120Pauline Parmentier, and No. 195 Amandine Hesse to his team. The U.S. is 11-2 all-time against France in Fed Cup play in a rivalry dating back to 1966. France won the last meeting of the two countries in the 2014 World Group Playoff in St. Louis, 3-2, in a fifth-and-decisive doubles rubber. The U.S. last beat France in the 2010 World Group First Round, 4-1, in Lievin, France. Earlier this year, the U.S. defeated the Netherlands, 3-1, in the World Group First Round in Asheville, N.C., while France beat Belgium, 3-2, in Mouilleron le Captif, France. The U.S. Fed Cup team won its record 18th Fed Cup title last November over Belarus, 3-2, in Minsk. It was the U.S.’s first Fed Cup title since 2000. The United States is looking to reach back-to-back Fed Cup finals for the first time since finishing runner-up in 2009-10, while France is looking to secure a place in its second final since 2005. Stephens, 25, of Fort Lauderdale, Fla., is ranked a career-high No. 9 in the world after winning the Miami Open earlier this month. She won her first career Grand Slam singles title by capturing the US Open in 2017 after being ranked as low as No. 957 in July, her ranking having dropped after she missed 11 months following surgery on her left foot. At the US Open, Stephens defeated compatriot Madison Keys in the first All-American US Open final since 2002. Stephens, who was No. 83 entering the Open, upset five seeds en route to the title, including Venus Williams. Prior to the US Open last summer, Stephens reached the semifinals of back-to-back US Open Series events in Toronto and Cincinnati. She holds six career WTA titles (Miami in 2018; the US Open in 2017; Auckland, Acapulco and Charleston in 2016; and Washington D.C. in 2015). In 2013, Stephens defeated Serena Williams en route to the semifinals of the Australian Open. That same year, she advanced to the quarterfinals of Wimbledon. Stephens has competed in five Fed Cup ties for the U.S., making her debut in 2012 and last playing for the U.S. in the 2017 Final in Belarus. In 2010, Stephens won the girls’ doubles titles at the French Open, Wimbledon and the US Open, and reached the singles quarterfinals or better in the junior competition at the same three Slams. She is the daughter of the late New England Patriots running back John Stephens. Her mother, Sybil, was an All-American swimmer at Boston University and qualified for Olympic trials in three events. Follow @sloanestephens on Instagram and @SloaneStephens on Twitter. Keys, 23, of Rock Island, Ill., is ranked No. 13 in the world. Keys reached her first career Grand Slam singles final at the 2017 US Open, before losing to Stephens. Keys captured her third career WTA singles title in 2017 at the US Open Series event in Stanford, Calif. With two wrist surgeries prior forcing her to miss the first few months of the year, she had won just five matches all season entering Stanford, where she upset No. 1 seed Garbine Muguruza and CoCo Vandeweghe en route to the title. Keys captured her first WTA title at the grass-court event in Eastbourne, Great Britain, in 2014, and then won her second WTA title in 2016 in Birmingham, Great Britain. In addition to the 2017 US Open, she has also reached three other WTA finals (Rome and Montreal in 2016; Charleston, S.C., in 2015). This year, Keys, who peaked at No. 7 in the world in October 2016, reached the quarterfinals in the Australian Open and the semifinals in Charleston. In 2011, she became the youngest player to win a main draw match at the US Open since Nicole Vaidisova in 2005, and in 2009, became the youngest player (14 years, 48 days) since Martina Hingis in 1994 to win a WTA match. Keys is competing in her first Fed Cup tie since the 2016 World Group Playoff and holds a 2-2 singles record and 1-1 doubles record in Fed Cup play. She trains at the USTA National Campus in Orlando, Fla. Follow @madisonkeys on Instagram and @Madison_Keys on Twitter. Vandeweghe, 26, of Rancho Santa Fe, Calif., is ranked No. 16 in the world. Vandeweghe made Fed Cup history last year by going 8-0 in singles and doubles play to lead the U.S. team to its 18th Fed Cup championship. With six singles wins in 2017, Vandeweghe became the first American since the World Group format was instituted in 1995, to win all six Fed Cup singles matches in one year. She was also the first player to win eight matches (six singles, two doubles) in a Fed Cup year since 1995 and only the third player in Fed Cup history to win three matches in a Fed Cup Final (two singles and one doubles). Vandeweghe has played in eight Fed Cup ties, holding an 8-3 singles record and a 5-0 doubles record. She reached the semifinals of both the 2017 US Open and Australian Open—her career-best Grand Slam results—and broke into the Top 10 for the first time in November 2017. Vandeweghe also advanced to the quarterfinals of Wimbledon in 2015. She holds two WTA singles titles, both won in the Netherlands, in 2014 and 2016, as well as three doubles titles (Miami in 2018 with Ashleigh Barty; Stanford in 2017 with Abigail Spears; and Indian Wells in 2016 with Mattek-Sands). She competed in the 2016 Olympic Games in Rio in women’s doubles and advanced to the doubles semifinals at the 2015 and 2016 US Open. As a junior player, Vandeweghe won the 2008 US Open girls’ singles title. Her mother, Tauna, was a member of the U.S. national team in both swimming and volleyball, and her uncle is former NBA star KikiVandeweghe. Follow @cocovandey on Instagram and @CoCoVandey on Twitter. Mattek-Sands, 33, of Phoenix, ranked No. 31 in doubles and No. 201 in singles, is currently on the comeback trail after suffering a knee injury at Wimbledon in 2017, which forced her out of competition for the rest of the year. Mattek-Sands became the No. 1-ranked doubles player in the world in January 2017 after winning the Brisbane doubles title. She went on to win the 2017 Australian Open and French Open women’s doubles titles with Lucie Safarova. Mattek-Sands holds 26 career WTA doubles titles, which also includes the Australian Open and French Open women’s doubles titles in 2015 and the US Open in 2016—all with Safarova. In mixed doubles, Mattek-Sands captured the gold medal with Jack Sock at the 2016 Rio Olympics and holds two Grand Slam mixed doubles titles (2012 Australian Open with Horia Tecau and 2015 French Open with Mike Bryan). In singles, Mattek-Sands has played in 15 US Opens and has reached the fourth round of Wimbledon in 2008 and the fourth round of the French Open in 2013. In 2011, she was ranked a career-high No. 30 in the world in singles before being sidelined by a rotator cuff injury. Mattek-Sands holds a 7-0 record in Fed Cup doubles and a 2-6 record in singles, playing in nine ties. In the 2010 Fed Cup semifinal, with the U.S. trailing Russia 2-1, Mattek-Sands won the fourth singles match to force the decisive doubles match and then partnered with Liezel Huber to win the doubles and clinch a spot in the final for the U.S. She also won the fifth-and-decisive doubles match with CoCo Vandeweghe in the 2017 semifinals to send the U.S. to the final last year. Follow @matteksands on Instagram and @matteksands on Twitter. Fed Cup is the world’s largest annual international team competition in women’s sport, with approximately 100 nations taking part each year. The U.S. holds an overall 150-36 record in Fed Cup competition with a 109-30 record in away and neutral ties. For more information, including access to player and historical Fed Cup records, please go to www.usta.com/fedcup﻿ or www.fedcup.com.